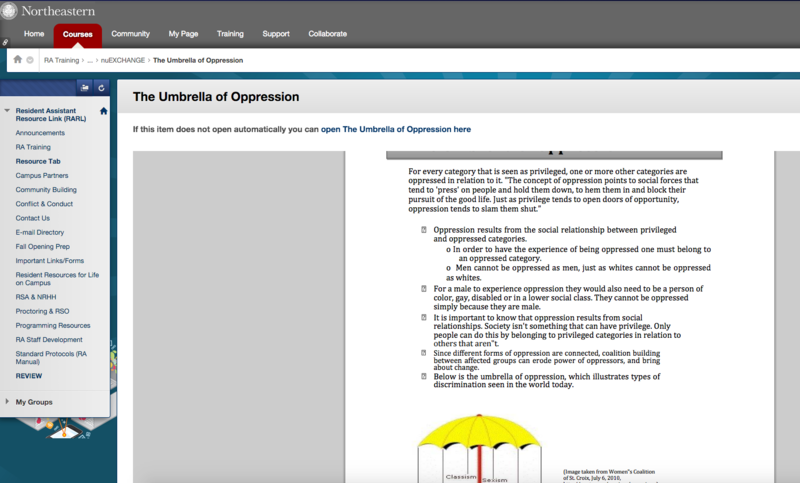 An instructional guide apparently in use at Northeastern University in Boston is teaching the school’s residential assistants that it is impossible for white people or men to be oppressed. The guide was posted to the university’s Resident Assistant Resource Link portal, and was revealed to the wider public when a screenshot of it was posted to the popular news aggregator Reddit on its TumblrInAction page. After its blunt declaration that whites and men can’t be oppressed, the guide then reiterates itself to ram the point home.